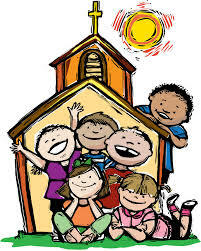 Welcome to Young Church - a group for the children of St. Andrew's! We meet every Sunday during our 10:30am service. We leave during the first part of the service (after the family talk and worship song) and head upstairs to learn more about Jesus and grow in our own faith. In Young Church we enjoy reading Bible stories, singing songs, playing games, and getting creative too. We share news of what is happening in our own lives and enjoy asking questions to get us all thinking too. God made us in His image and to live life together. Every Sunday we want to celebrate that! The leaders and helpers of Young Church are here to help you, pray for you, and get to know you whilst you learn more about Jesus. For more information please contact the church office on 01227 464643 or email office@standrewscanterbury.org.